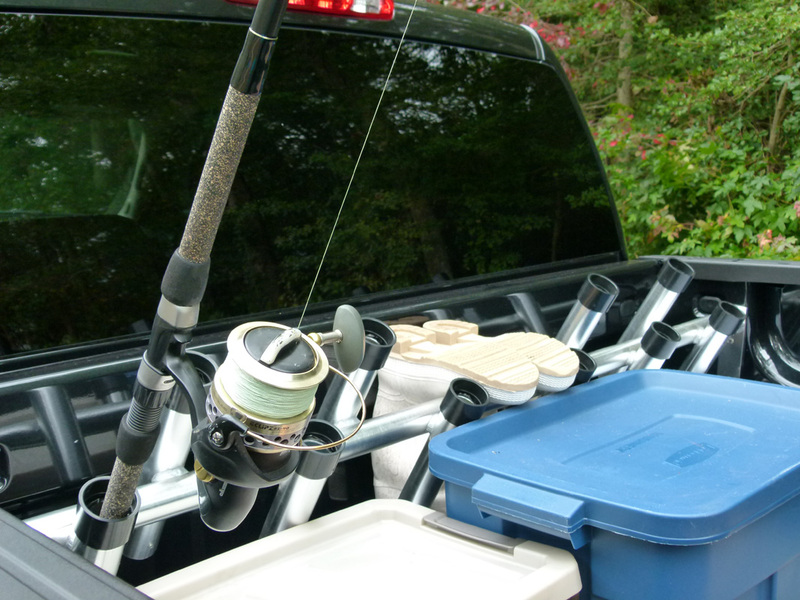 Tired of your gear getting broken or damaged in the bed of your truck during transport? 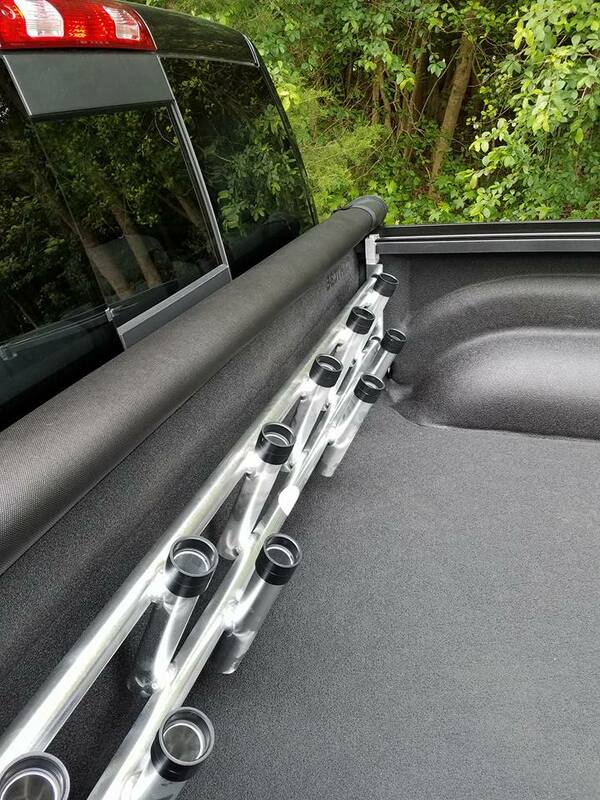 Solve the problem with our In-Bed Rod Rack. 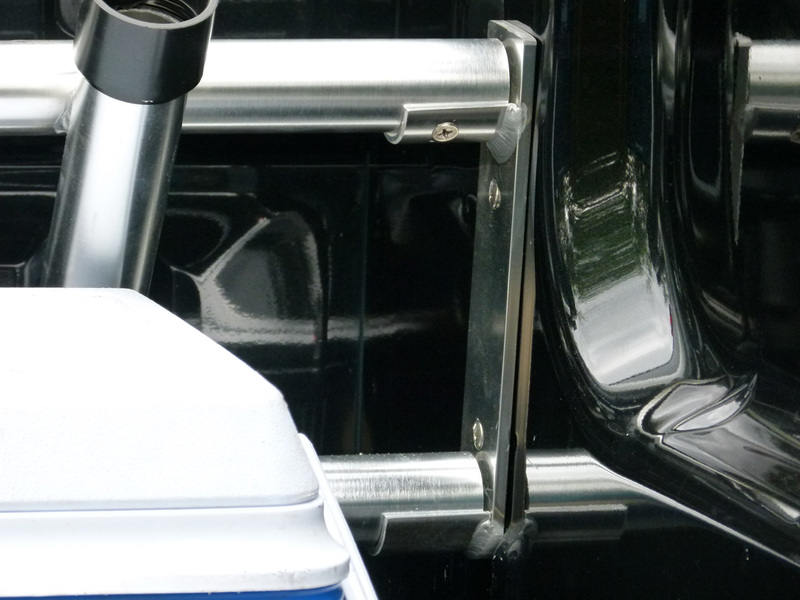 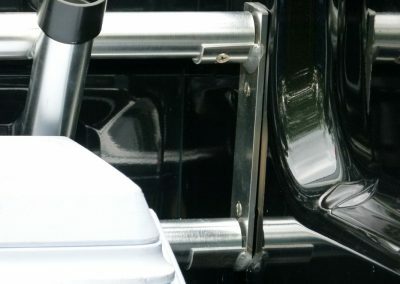 Easily installed with fixed mounted brackets that allows you to remove the rod rack in a few minutes. 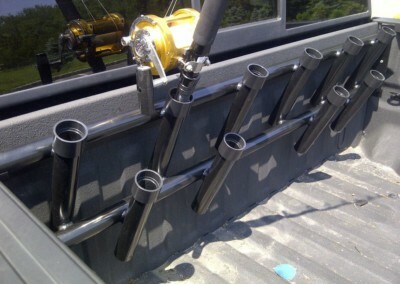 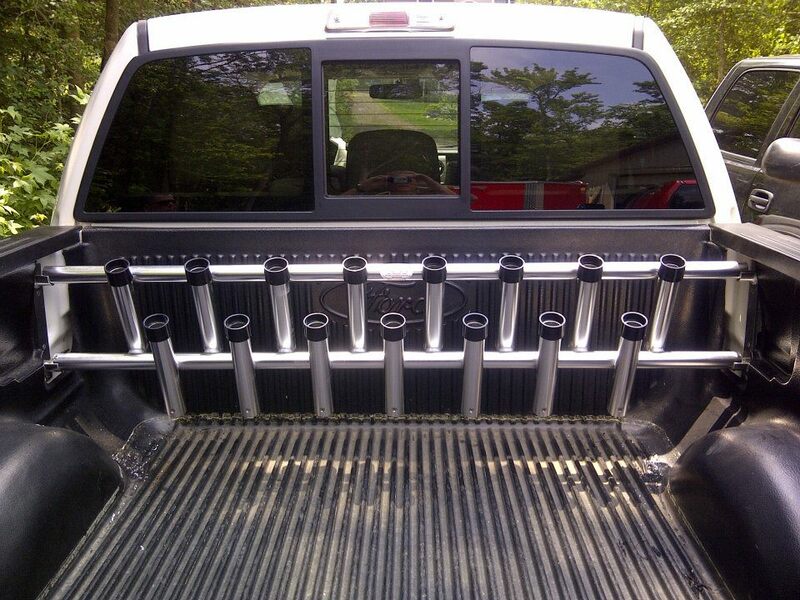 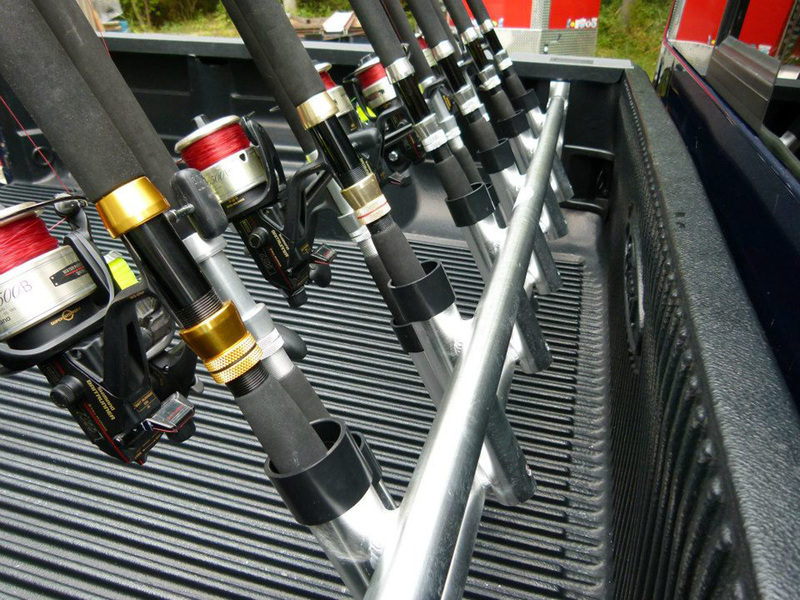 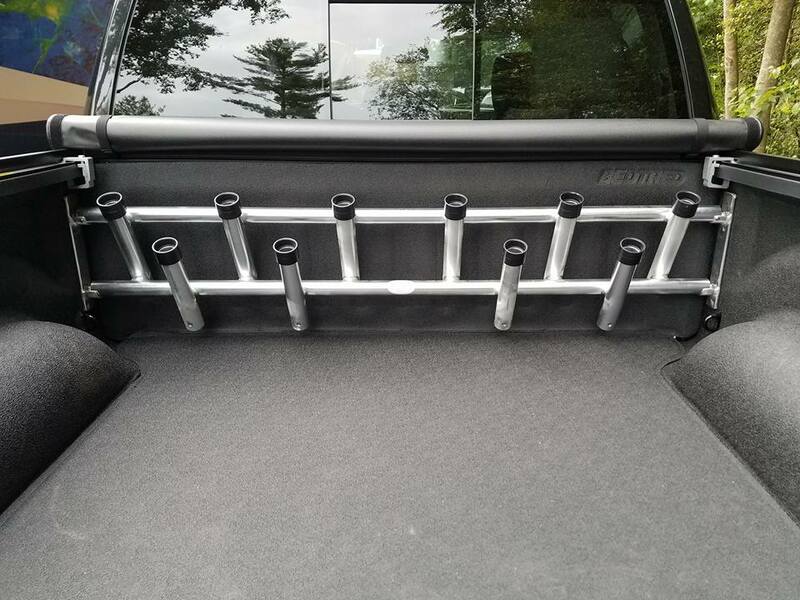 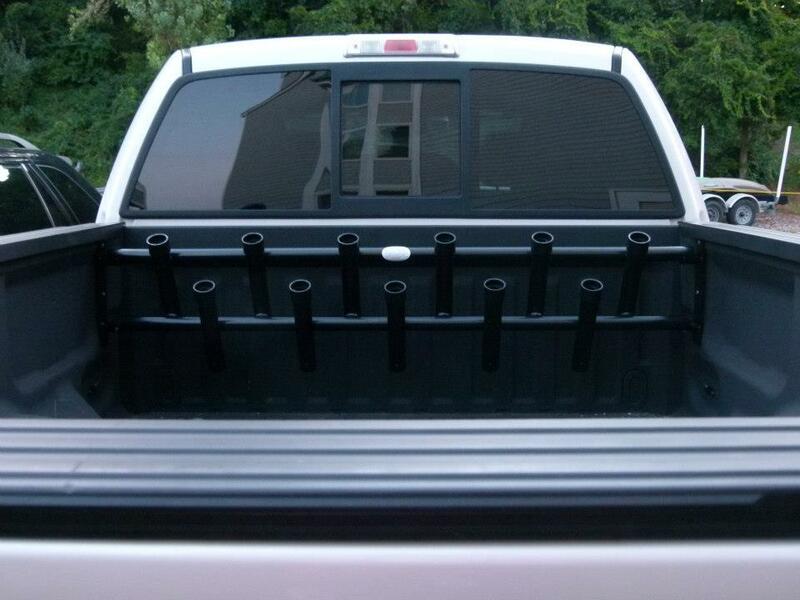 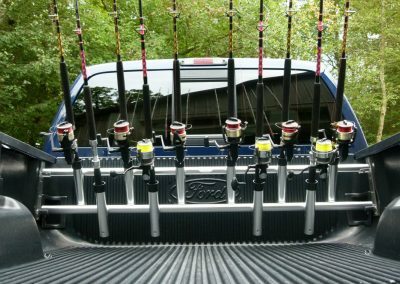 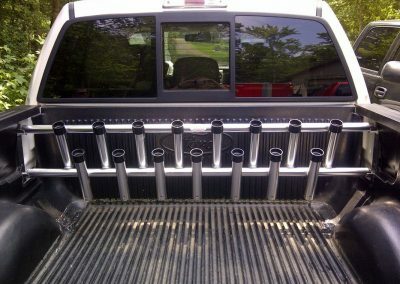 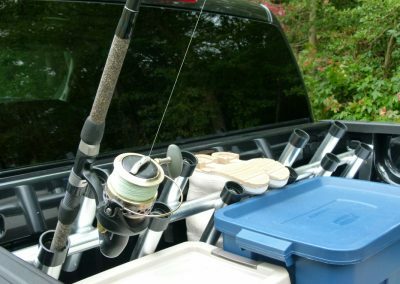 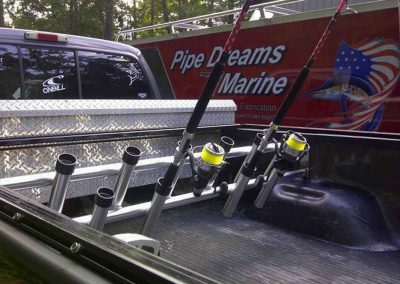 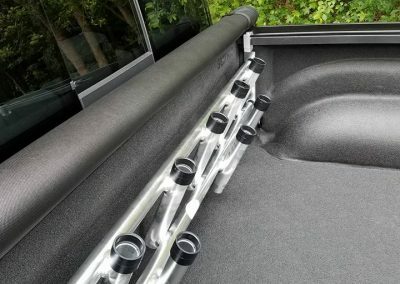 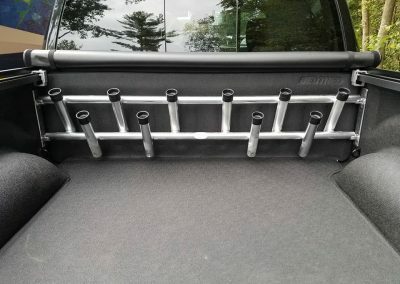 Our standard In-Bed Rod Rack holds 10 rods, yes 10 rods! We also can customize a rod rack to fit your special needs or likes. 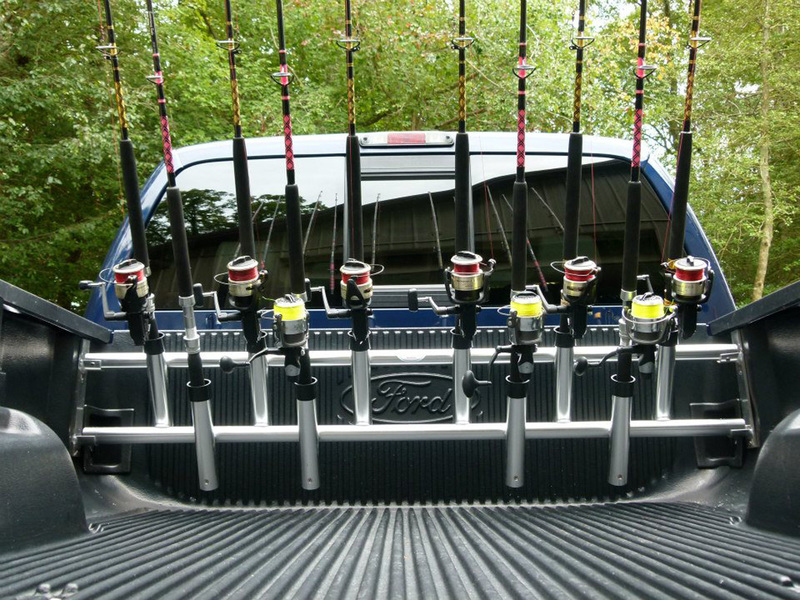 Put an end to the frustration of broken rods. 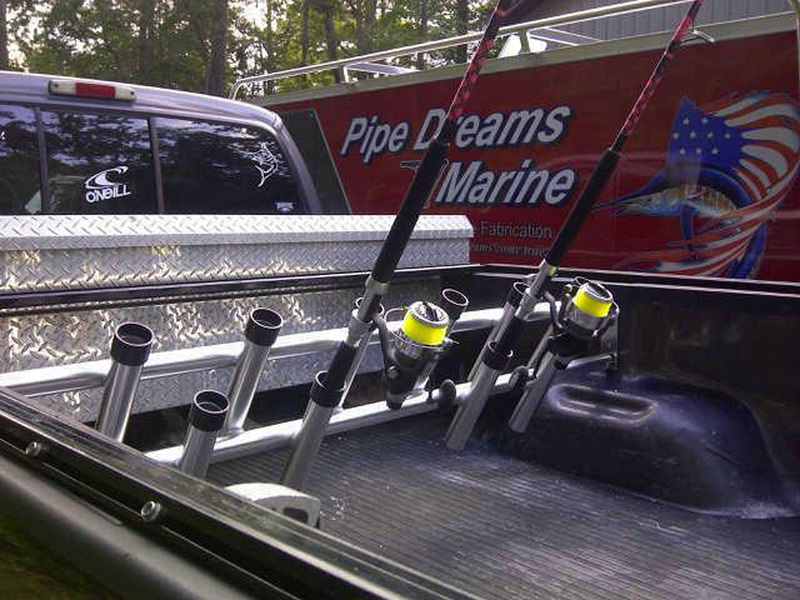 Call or e-mail us today.